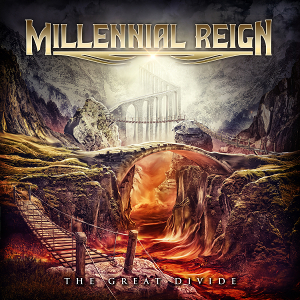 The US Power Metal band MILLENNIAL REIGN will release their third full-length album “The Great Divide” through Ulterium Records on May 25th. The album features new members Travis Wills on vocals, Steve Nichols on drums and Neil Bertrand on bass, together with founding member Dave Harvey on guitars. Since the release of the 2015 second album “Carry The Fire”, MILLENNIAL REIGN toured with Stryper on their “To Hell With The Devil 30th anniversary tour” as well as supported bands like Sonata Arctica, Leaves' Eyes, Theocracy, Omnium Gatherum, Hammerfall and Joe Lynn Turner. The new album “The Great Divide” feels like a more focused and powerful album than its precursor and the new vocalist Travis Wills (Infidel Rising) really gets shine throughout the album with his raw and emotional vocals. It's perfect for fans of Power Metal and Melodic Metal such as Queensryche, Crimson Glory, Stryper and Theocracy. 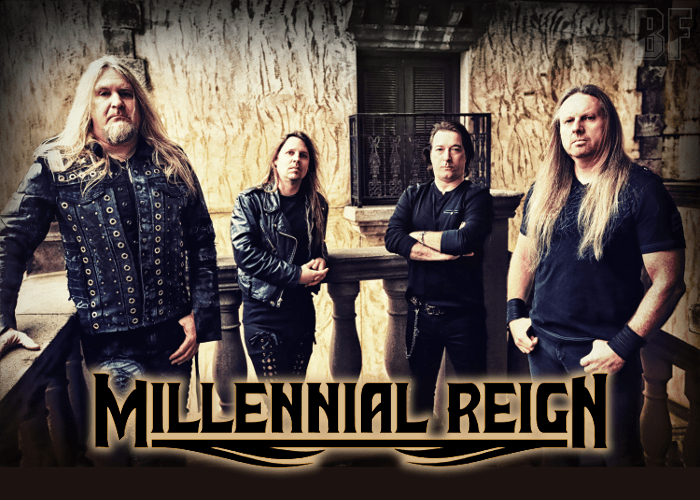 MILLENNIAL REIGN is scheduled to support Stryper and Hammerfall in June and will also play in Mexico for the first time this year.